The first problem “the paradox of omniscience” is derived from Cantor’s proof that there is no set of all sets. Omniscience, it is said, entails knowledge of the set of all truths. Cantor’s proof, however, demonstrates that there is no such set. As there is no such set, it is argued, there can be no omniscient being. The second problem is the problem of experiential knowledge. Here the argument is that there are certain facts knowledge of which can only be acquired through certain experiencesâ€”knowledge of what it is like to sin, for instance, can only be acquired by sinningâ€”and that some of these experiences, and so some of these items of knowledge, are such that they cannot be had by God. The third problem is that of reconciling freedom and foreknowledge, specifically the existence of divine foreknowledge with the existence of human freedom. If God knows all of our future actions, then the future is fixed, but if the future is fixed, it seems that there is nothing that we can do to change it. The ability to determine our future actions, though, is what constitutes human freedom. Divine foreknowledge, then, seems to preclude the possibility of our being free agents. The fourth problem is the problem of middle knowledge. Middle knowledge is knowledge of what free agents would have done had the world been other than it is. As the agents are free, their choice of action cannot be determined by the state of the world, and so cannot be calculated on that basis. As middle knowledge concerns counterfactual situations, however, neither can their choice of actions be known by observation of the future. With the two possible sources of knowledge ruled out, it seems that middle knowledge is an impossibility. As a group, open theists are committed to a robust perfect being theology according to which God is conceived of as a metaphysically necessary being who essentially exemplifies a maximally excellent set of compossible great-making properties, including maximal power, knowledge, and goodness. The differences between open and non-open theists (both classical and process) have to do with what that maximal property set consists in, not with whether God exemplifies such a set. On the God is Open Facebook page, an interesting discussion is occurring over the above meme. The point of the meme is to show the paradoxical nature of truth claims about the future. Another way to put this point is to say that it is viciously circular for God to base his action on what has not yet logically occurred. You get into these sort of causal loops in time travel movies. Point is, if what you will do hasn’t been decided yet (because it’s in the future) then God can’t base his action on your future free choice. It’s a logical impossibility because viciously circular, like an equation with two variables, both of which depend on each other but neither of which are as yet determined. Though God’s knowledge of a future event would not establish certainty for the event, and man’s lack of foreknowledge and his free will do not establish the certainty of the event, still, the event itself must be a certain event if it can be absolutely foreknown by God. Another problem with God’s perspective vs man’s is the question of which one is real if there is a discrepancy between the two. If God sees that an event will happen, then it will. It makes no difference if man sees that event as contingent. This must be an illusion on man’s part, because God’s perspective of the event must be the real perspective. Still, though God’s foreknowledge of the event does not establish it’s certainty, something or someone had to make the event a real, certain, non-contingent event if God is able to know it with absolute certainty. Trying to claim that events are both certain (for God) and contingent (for man) is inadmissible logic. The same event cannot have both qualities at the same time. If you want to make that claim, you will need to establish biblically that events really have those qualities at the same time. My point in the above is that God does certain things and certain things are true about him because of the contingent act of creatures. Christ (i.e. God as man) would not been crucified IF sin did not come to be. Therefore (I argue) God cannot be immutable, sequenceless, or unrelated to creation. God is unchanging love. But the way he loves changes all the time depending on the circumstance. In fact, love invites us to be constantly changing and adapting to achieve the most beauty that’s possible– even if that means we love in ways that contradict how we loved in the past. Ironically, the unchanging nature of God is the very thing that causes God to be constantly changing— because love always grows, changes, and surprises us in beautiful ways. Yes, God changes. His unchanging essence of love demands it. That’s the paradox of love. In Scripture I see a God who is always changing– not in essence, but in how to love a world that’s constantly changing. The reason God changes is due to a combination of his unchanging essence of perfect love, and the divine constraint that requires God to always seek the options that lead to the most beauty. As situations change, the options as to how to love best also change. It’s how we went from Gentiles being out to Gentiles being in. It’s how the outcasts became the guests at God’s banquet. It’s how the late vineyard workers got paid a full day’s wage. It’s how the unclean became clean. Howard accuses me of committing several “logical fallacies.” When reading what he means by “fallacy,” however, one finds he has neither the typical examples of fallacies nor formal fallacies in mind. Howard’s use of “fallacy” is unusual. The first “fallacy” Howard says I commit is the notion that “we can know rationally and judge what God should do and what God can do.” Of course, this is not a fallacy in any usual sense of the term. But more importantly, the opposite of this claim would be that we cannot know rationally and judge God’s actions. Should Christians claim they cannot know or judge the nature of God’s actions? I do think we can know something about who God is, what God does, and what God can do. As I argue in the book, I think we can know these things – in part – because of the revelation of Jesus Christ, Scripture, science, experience, tradition, etc. The emphasis Howard seems to have in mind here is on the word “rationally.” This seems to be his attempt to begin luring his readers toward the mystery views he will soon endorse. The crux of Howard’s concern seems to be summarized in this sentence: “Human capability to determine what God (a God of love) should, can, and cannot do is … a fallacy.” Howard seems to think I believe we can know fully or with certainty what God should, can, and cannot do. John Anselm’s Law. Basic ontological argument. Here’s a Wiki bit on it: Anselm defined God as “that than which nothing greater can be conceived”, and argued that this being must exist in the mind; even in the mind of the person who denies the existence of God. He suggested that, if the greatest possible being exists in the mind, it must also exist in reality. If it only exists in the mind, then an even greater being must be possible — one which exists both in the mind and in reality. Therefore, this greatest possible being must exist in reality. Chris Fisher Anselm sounds like a lunatic. John Really, and is that how you feel about ontology in general? John Or is this the first you have ever even heard of it? Chris Fisher John So, what necessitates that God is the greatest being imaginable? And who decides what “greatest” means? If I think pink is the greatest color, then God must be pink. If I think two hats are better than one, then God must have two hats. It is absurd and arbitrary. Explain how Anselm’s quote even borders on rationality. John Chris Fisher, Anselm has been critiqued at length. Show me how an atheistic position even borders on rationality. Chris Fisher I’m not an atheist. I just dont buy absolute nonsense arguments. Chris Fisher Care to answer my questions? John Chris Fisher, No. I do not. As I said, Anslem’s ontology has been critiqued at length. You ask who decides what “greatest” is — greatest is that for which there can be nothing greater than. I think that’s self-explanatory. Just like “truth.” Truth exists externally from our perceptions of truth. True is just true. John There are many, many, many, … things in philosophy that I cannot wrap my mind around. But it isn’t fair for me to just dismiss them as nonsensical statements. I’ve not the skill. Chris Fisher I did give reasons why the argument is irrational: it is arbitrary (and I give examples) and the assumptions just have no basis in reality. Your response is an appeal to authority and a “trust me, this seemingly nonsensical argument is legit”. Definitely no one should take Anselm seriously. John The argument runs from the premise. You may state that the premise is not rational, but the premise is not part of the ontological problem. The premise is what it is. What follows is the concern, and whether such must follow. John My appeal to authority, Sacred Scripture and nature, came later, after my discussion of the definition of “great” and “true” as being self-explanatory and unconcerned in the least about of perceptions of what is greatest and truly true. These exist externally to our perceptions. You chose, apparently, to skip that part. John Anselm may have been wrong — atheist philosophers such as Hume certainly think so — but I don’t think you can call him a lunatic. There’s is another type of logical fallacy there called ad hominem. Chris Fisher John, Ad Hominem is a widely misunderstood fallacy. An Ad Hominem is not just any “name calling”. Might as well say that Jesus fell for the Ad Hominem fallacy. The Ad Hominem fallacy is an argument that someone’s argument should be dismissed due to that name calling. If you were to say “Hume was an atheist, so he was wrong about his objections to Anselm”… then that would be an Ad Hominem. 1. God is the fattest being in we can imagine. 2. Assume God is just imaginary. 3. A real God is definitely fatter than an imaginary God. The amount of raw and speculative assumptions embedded in the proof are insane. Again, what necessitates that God is the greatest being imaginable (an idea with origins in Plato’s Republic and not in the Bible)? Who gets to define what “greatest” means? Is it not just the etymological fallacy to assume that existence is included in the concept of “greatest being imaginable”? What if someone were to argue (as theists do) that God is limitless, and existence implies limits? The entire argument is just a mess of absurdities. 9. Help them see the value of Old Testament stories is rooted in the narrative, not the historical reliability. Fundamentalism (and even many atheists) view Scripture and our faith as a house of cards. If Jonah didn’t really live in the belly of a fish for three days, we can’t trust anything else it says, either. If any of it is historically untrue, it all belongs in the trash. Unfortunately, that’s a very unenlightening way to read Scripture. It’s not even what the authors intended to convey; they weren’t recording history by Western standards, but were engaged in a process of making meaning. As we raise Formerly Fundie kids, we must help them see that our faith and Scriptures aren’t a house of cards at all. They are stories filled with intrigue and lessons that are still as valuable today as they were back then. 8. Teach them the Bible is an inspired story of God revealing himself to us, but it’s not an owner’s manual for life. So many of us grow up being taught that the Bible works as an owner’s manual, but as we get older we come to the realization that the Bible simply doesn’t work that way. Yes, the Bible progressively reveals to us what God is like. Yes, the Bible ultimately shows us that God’s true identity is the character revealed in Jesus. And yes, we are taught to live like Jesus and follow him. But no, the Bible doesn’t answer all of life’s questions. It doesn’t tell us what to do in every situation we find ourselves in. The Bible simply doesn’t work that way. Realizing the Bible doesn’t work as an owner’s manual has the potential to be discouraging, but when we help our kids see that the story is one of a progressive revelation that ultimately introduces us to Jesus, we’re invited to begin asking a different set of questions about how to live life well. Closely related to the last point is the issue of God’s will vs. permission. If you (Roger) and others would say God’s will is always constrained by God’s love and that God’s love is always uncontrolling, we’d be in agreement. At least the first part of that previous sentence (“God’s will is always constrained by God’s love”) is solidly Arminian, as you know. In this, I’m retrieving an Arminian heritage I don’t find retrieved among many of my fellow open theists. The second part of that sentence above seems necessary to overcome questions about God failing to prevent evil that God could prevent through control. That is, many say God could control free creatures, non-free creatures, less complex entities, or interrupt the law-like regularities of existence. Consequently, they cannot offer a solution to the problem of evil. If you would agree that God’s will is always constrained by God’s love and divine love is always uncontrolling, you would no longer need to say God “allows” evil. We’d be on the same page. Therefore it does not follow that, because God can do all things, therefore he must do all things. God is omniscient, and can know all things; but does it follow from this that he must know all things? Is he not as free in the volitions of his wisdom, as he is in the volitions of his power? The contingent as absolute, or the absolute as contingent? God has ordained some things as absolutely certain; these he knows as absolutely certain. He has ordained other things as contingent; these he knows as contingent. It would be absurd to say that he foreknows a thing as only contingent which he has made absolutely certain. And it would be as absurd to say that he foreknows a thing to be absolutely certain which in his own eternal counsel he has made contingent. By absolutely certain, I mean a thing which must be, in that order, time, place, and form in which Divine wisdom has ordained it to be; and that it can be no otherwise than this infinite counsel has ordained. By contingent, I mean such things as the infinite wisdom of God has thought proper to poise on the possibility of being or not being, leaving it to the will of intelligent beings to turn the scale. Or, contingencies are such possibilities, amid the succession of events, as the infinite wisdom of God has left to the will of intelligent beings to determine whether any such event shall take place or not. To deny this would involve the most palpable contradictions, and the most monstrous absurdities. If there be no such things as contingencies in the world, then every thing is fixed and determined by an unalterable decree and purpose of God; and not only all free agency is destroyed, but all agency of every kind, except that of the Creator himself; for on this ground God is the only operator, either in time or eternity: all created beings are only instruments, and do nothing but as impelled and acted upon by this almighty and sole Agent. Consequently, every act is his own; for if he have purposed them all as absolutely certain, having nothing contingent in them, then he has ordained them to be so; and if no contingency, then no free agency, and God alone is the sole actor. Hence the blasphemous, though, from the premises, fair conclusion, that God is the author of all the evil and sin that are in the world; and hence follows that absurdity, that, as God can do nothing that is wrong, Whatever Is, is Right. Sin is no more sin; a vicious human action is no crime, if God have decreed it, and by his foreknowledge and will impelled the creature to act it. On this ground there can be no punishment for delinquencies; for if every thing be done as God has predetermined, and his determinations must necessarily be all right, then neither the instrument nor the agent has done wrong. Thus all vice and virtue, praise and blame, merit and demerit, guilt and innocence, are at once confounded, and all distinctions of this kind confounded with them. Now, allowing the doctrine of the contingency of human actions, (and it must be allowed in order to shun the above absurdities and blasphemies), then we see every intelligent creature accountable for its own works, and for the use it makes of the power with which God has endued it; and, to grant all this consistently, we must also grant that God foresees nothing as absolutely and inevitably certain which he has made contingent; and, because he has designed it to be contingent, therefore he cannot know it as absolutely and inevitably certain. Swinburne then turns (briefly) to matters of epistemology. How do we go about making judgments on various matters? As elsewhere, he defends some basic epistemic principles including the by-now-familiar principles of credulity (PC) iii and testimony (PT)iv. Any evidence that the way things seem or what people tell us not caused ultimately by the things apparently perceived or testified to provide a defeater for PC and PT. This last point can be unpacked more formally as the epistemic assumption (EA), which states that there are three components to justified belief in a theory. First, there must be a justified belief that the theory makes true predictions. Second, the only sources of evidence for that justified belief would be apparent experience, memory, and testimony that the theory predicts certain events and that those events occurred. Third and most importantly, such justification is undermined by any evidence that any apparent experience was not caused by an apparent experience of the event apparently remembered, or any apparent testimony was not caused by the testifier’s intention to report his or her apparent experience or memory. As will be seen shortly, this last part of the EA undergirds Swinburne’s case for free will in the face of recent neuroscientific findings. Philosophers have disagreed for centuries over God’s relationship to time. I will examine three different answers to this question. I will show that the best position is Everlastingism, viz., that God has always been temporal. This question is important for developing coherent theology, and the matter of God’s relationship to time has entailments for his relationship to creation. As Alan Padgett has said, thoughtful believers should aim for “some kind of coherent understanding of even such remote issues…” as this one. To establish that there is better evidence for Everlastingism than Eternalism, I will use philosophical theology as well as biblical theology. My approach shall be to examine the evidence for and against Eternalism, an then the evidence for and against Everlastingism. Along the way, I will also discuss other views that intersect with these two. I will show that the best and largest quantity of properly-interpreted evidence leads to the conclusion that God is temporally everlasting. Rohan Holt I’ve heard that a Hindu view of a God can be that God both exists and does not exist, at the same time. If God is everything (as Hinduism maintains), God can have completely incompatible attributes; even incompatible with reality. Calvinism starts to appear like Hinduism at some points, e.g. how it can define the “omni” attributes of God. “All knowledge” cannot possibly include the knowledge of what it feels like to be totally ignorant. P1) If God possesses EDF, the definiteness of all events eternally precedes their actual occurrence. P2) Actuality is distinct from possibility in that actuality is characterized by definiteness, while possibility is characterized by indefiniteness. P3) Thus, all events are actual before they are actual. Conclusion: It is absurd to say that an event is actual before it is actual, thus (reductio ad absurdem) God does not possess EDF. Comment: This argument raises the question, What does the actual occurrence of x add to God’s foreknowledge of x so as to distinguish the actual occurrence of x from the mere foreknowledge of x? If God’s experience of the actual occurrence adds anything to God’s foreknowledge, then God’s foreknowledge cannot be exhaustively definite. God learned what it was to experience x even if we concede that prior to this God had perfect propositional knowledge about x. If God’s experience of the actual occurrence of x adds nothing to God’s knowledge, however, then it becomes utterly impossible to render intelligible the distinction between a thing’s actual “occurrence” and its being “merely” foreknown. In other words, if experience is the highest form of knowledge (and it most certainly is), then an exhaustively definite knowledge of x entails an unsurpassably perfect experience of x. Hence too, an exhaustively definite foreknowledge of x must entail an unsurpassably definite experience of x an eternity before x occurs. To salvage EDF, then, we must either grant retroactive causation or grant divine timelessness. Whether these concepts are either philosophically or biblically defensible is questionable. Imagine that God created you as the soul that would eventually become Judas Iskariot, the betrayer. And suppose He created me as the apostle Thomas, who would eventually be a great evangelist in the Far-East. And imagine that He was completely sure that those events were going to happen. And that you would burn in Hell and I would live in Heaven. Philosophical problems with Arminianism-like future view*: God bringing those souls into exsistence of whom He knew, they would not turn from their wicked ways. “If God truly does not want anyone to be lost, then why does he create those of whom He knew they would be lost forever?” As in the above example: (the souls of) Judas and Thomas would not have been really free to choose between good and evil. They would not have received an equal chance. Calvinism would have made most sense then. * View in which God foresaw who would eventually repent and endure and who would not. (I held to that part of the view) And that He only gave the chance to repent to those who would believe. I did not hold to that part of the view, since, I believe, philosophically, that God needs to have given everyone an equal chance to be able to be righteous (Romans 9:14). For isn’t that required to make a righteous judgment at judgment seat and have the people honestly say: “true and righteous are His judgments” (See Revelation 19:1-2)? Neo-Molinism is an open theist belief in a specific mechanic of divine providence. The traditional Molinist view of God (that God knows what every creature would do in all circumstances and what creatures will do on the preferred timeline) is somewhat related, but not to be confused with another. 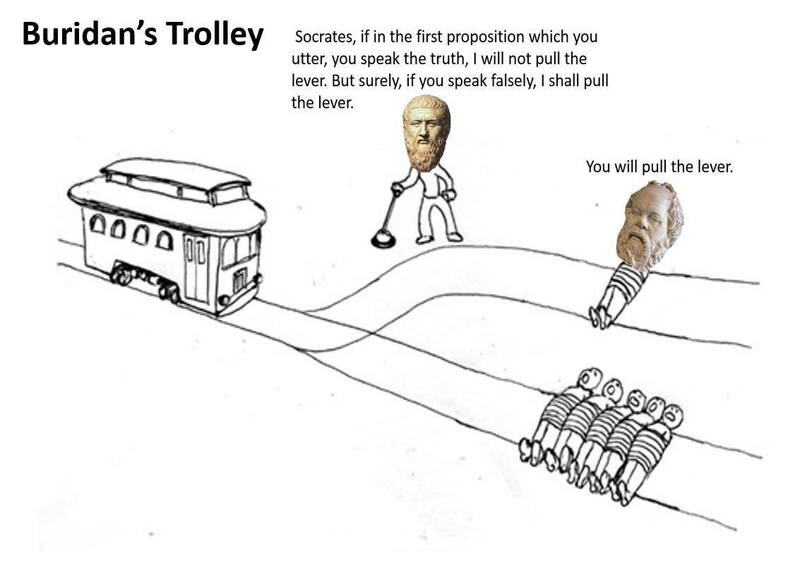 Free will, then, would be the mechanic by which the various routes would be chosen over another. Because God cannot know beforehand the free will decisions of human beings, then God has to then wait to see which free will route will be taken. Low Risk – God created the world in such a way that it can be guaranteed that at least a certain percent of people would accept Him. High Risk – God created the world in such a way that it is highly improbable that all people (every single individual) would reject God. Extreme High Risk – God created the world in such a way that He did not know the probabilities (either 0% or 100%) that people would accept Him. Is God Wrong when Things Do Not Turn Out As Planned? The question is then asked: Did God “know” a falsehood? Did God know something that was not true? Was God wrong in thinking He would destroy Israel? A group of people are flying to Dallas. All people on board, especially the pilot, believe they will be flying into DFW airport. In other words, everyone thinks they are going to DFW airport. As the pilot nears Dallas, a stewardess decides it would be funny if instead they land at DLF airport. This stewardess is very persuasive and persuades the pilot to instead fly to DLF airport. Were the people wrong to think “they were going to DFW”? Was the pilot wrong when he first took off to think that they were “going to DFW”? Normal people reflecting on the situation at a future time would not say that the people were “wrong”. The people were right to think “they were going to DFW”. The airplane was pointed in the direction. The pilot was navigating the plane to DFW. They were, in fact, going to DFW. A normal person would reflect and say: “They were going to DFW, but then the pilot changed his mind and they instead went to DLF”. In fact, the only time the people would be wrong to think “they were going to DFW” would be after the pilot changed his mind. After the pilot knows that the plane is now headed to DLF, the pilot would likewise be wrong to believe “he was going to DFW”. When evaluating the truthfulness of past claims, it is only valid to evaluate them with the truth available at the time. In the Exodus 32 example, the only way God would actually be “wrong” is if God knew full well He was not going to destroy Israel. The view of future omniscience makes God wrong. If the future does not exist, then God is not wrong to believe “He is going to destroy Israel” if in fact that was His destination at the time. Presentism: Statements about the future are not true or false, in the logical sense of the statement. Statements about the past are only true if tensed to recreate the context of the statement. Both the past and future do not exist; all that exists is “now”. Because statements about the future are neither true or false (there is nothing to be true or false), future truths cannot affect the truth claims of the present. Those future events do not exist to weigh against the true value. It would also be a mistake to claim that truth claims of the present must hold into the future if the context changes (and vice versa, that claims of the present must hold into the past). While events can actualize in ways that are unexpected by God (in Jeremiah 18:8 God admits as much by saying “I will not do what I thought to do”), this does not necessarily involve thinking a falsehood. True or false statements are only true or false in the context and time in which they are stated. Because there is no such thing as the future, attempting to include the future truth or falsehood into the truth equation would be the equivalent of trying to include similar non-existent mechanisms. One might as well say that any past event is true or false because of some other irrational and non-existent factor (such as timetravel). Example of an equally nonsensical claim: “God was not incorrect about destroying Israel because of future timetravel, God can both destroy and not destroy Israel in the past.” Or “God was not incorrect about destroying Israel because all future branching paths lead to parallel worlds and one branching world included God destroying Israel.” These sorts of Deus Ex Machinia’s should be rejected as nonsense. The statement that “In some context in the past, God thought He would destroy Israel” is the eternal truth (likewise is “In some context in the past, God didn’t think He would destroy Israel”). Alternative phrasing of the same statement: “In some context in the past, God knew He was going to destroy Israel”. At the moment in Exodus when God uttered that He would destroy Israel, it was true in the context in which it was uttered. In Exodus 32:10, God knew He would destroy Israel. God believed the truth. Whether or not Israel was ever destroyed is irrelevant to the question because future truths do not exist to weigh into the claims of the past. At time point T1, proposition A “We are going to DFW” is true. At time point T2, proposition A “We are going to DFW” is true. At time point T3, proposition A “We are going to DFW” is true. At time point T4, the pilot changes his mind and diverts the course to DLF. At time point T5, proposition A “We are going to DFW” is false. Notice the logical law of Non-contradiction is not violated in these two propositions. A truth (proposition A) cannot be both true and false at the same time in the same sense. Because time (and, more importantly, other factors) can change between T1 and T5 then “We are going to DFW” can be both true and false depending on the context of which it is said. Tensed, “We were going to DFW” can be both true and false depending on the T value to which is referred. At time point T1, proposition A “God is going to destroy Israel” is true. At time point T2, God repents. At time point T3, proposition A “God is going to destroy Israel” is false. Now it would be true at T4 the proposition “At time T1 ‘God was going to destroy Israel’ was a true proposition.” But it would not be true to say “At time T3 ‘God was going to destroy Israel’ was a true proposition.” It would also not be true to say “At time T1 ‘God was not going to destroy Israel’ is a true statement. Truth cannot be divorced from the context in which it is said. This is not to say that some context can change and truth value of the statement can’t remain the same (is it even still the same statement?). In order for proposition A to remain true at T3, the relevant context would have to hold between the two points. In short, when evaluating truth we should not apply contexts which are not applicable. We should not assume that truth propositions would hold changing the context in which the truth is uttered. At T1, God was going to destroy Israel. That was God’s intent. God was preparing and planning on destroying Israel. Rephrased: at T1, God knew “that He was going to destroy Israel”. Because God was going to destroy Israel (and God could have accomplished this as planned), God knew the truth. At T3, it is no longer the case that God was going to destroy Israel. The context of the statement changed, thus we should not assume the truth value must hold. God no longer thought “that He was going to destroy Israel”. Because of presentism, it can logically be claimed that God does not believe falsehoods about the future although it is possible that He could be incorrect if we irrationally project present truths into past “truth calculations”. Because the past does not exist, except in memory, recalculating truth determinations from the past is as fallacious as using future truths to calculate present truths. If the truth did exist, only then God would have believed a falsehood. God is only wrong if God knows the future. In other words: God can know some truth now that does not materialize as expected.